Whether you are a start-up business, kitchen table entrepreneur, home worker or sole practitioner, your first office space is normally situated at home. After a nearly a year of a ten second commute, I admit the novelty of working from home is starting to wear a little thin. 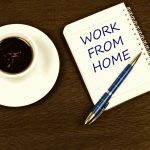 Here are my thoughts on how to make working from home work for you. 1. Create a dedicated work space. It doesn’t need to be anything as formal as a home office – although if you can do this, then great – but a space that is dedicated to your work. A dedicated workspace helps you to separate the two halves of your life – home life and work life. If you have young children, then having a work area that you can physically shut away is a must! 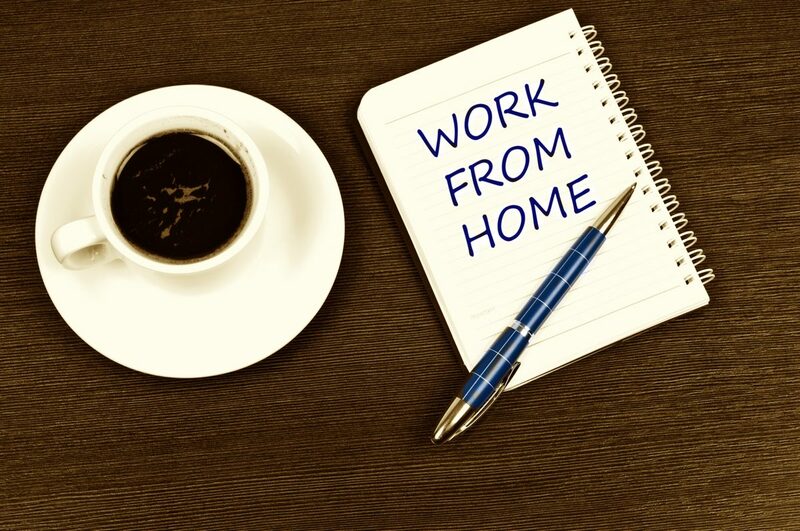 When you start to work from home, the boundaries of work life and home life get very blurred. From personal experience, I know it can be very hard to switch off at the end of the day, and let my work seep into my quality time with my family. It takes discipline to keep home and business life separate – but as time goes on, it becomes essential to create that boundary. It’s very easy to waste time when you are working on your own at home. When you finish for the day, make a list of what you need to achieve for the next day. This will help you mentally switch off at the end of your working day, and be ready and focused for what needs to happen when you start work in the morning. When I first started working from home, my husband thought that I could do all the housework while I was meant to be working. He also thought that on my ‘working days’ I could look after the children while he went to the gym. We knocked those ones on the head pretty quickly! Don’t muddle up your domestic chores and your business work. Set separate times to do your housework –and gain the commitment of your family to this new regime. Whilst you may love not having to get up every morning to go into the office, it is important to put some structure in your day. By this I mean, a time when you intend to be at your desk and a time when you will stop working. This will help you separate your work and home life – and help the people around you get used to your new routine. Particularly if you are an extrovert, you will need people around you. Balance your times in the office with the quieter times in your household. Go out networking during the week so that you can meet people. At some point you will have some work people visiting your home. Make sure you keep your workspace tidy and free of domestic clutter, so that any visitors to your home office wouldn’t be alarmed at your untidy house. If you can afford it, use a business answering service. I have found to my cost that my husband is a lousy receptionist and tends to forget to write down messages. An answer phone is an OK solution – but 8/10 people don’t leave a message on a voicemail. Can you afford to miss a potential new business enquiry?